As a kid I had a real fascination for the Howgills. We used to drive through Sedburgh on our way from home (in Wensleydale) to the Lake District, where my dad and uncle were converting a disused village hall into a couple of holiday cottages for their families, and this dramatic group always drew a gaze of appreciation as we passed it. Those almost symmetrical steep-sided rounded heights have a very singular and idiosyncratic character, quite different from the usual dales hills. In the last few years of regularly driving up to the Highlands, they again caught my attention, overlooking and defining as they do, the most dramatic stretch of the M6. Then there were a couple of recent reports of walks in this area (by Dav2930 and Trailmasher), with alluring pics that rekindled that growing interest; and so the Howgills were right in the forefront of my mind when I came to start thinking of shorter walks for winter that don't require more than 3 hours travel to get to. There was also an idea to do such a walk with either my brother or sister. So I worked out 3 or 4 routes of different duration, and then when the forecast for Thursday November 30th was looking really favourable - clear skies and sun all day (albeit VERY cold), I called them to sound them out. Unfortunately they were both otherwise committed, but the forecast was just too favourable for me not to make best use of the day. I decide on the following route. 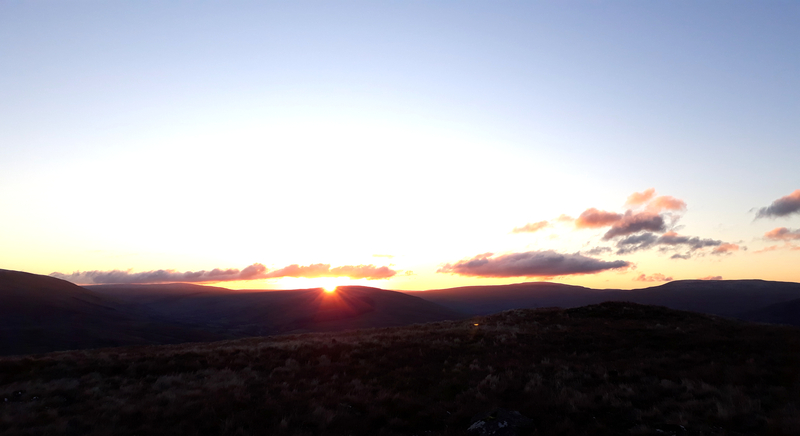 The plan was to have a full day's walk, so I leave home at 04.15, in order that I'll be able to get going in the early dawn - say at 7.15 - and - with a bit of luck - get the sunrise from the summit of the first hill. The idea of returning to the car via the path along the Rawthey River valley is that I should get good sunset light on the west-facing side of the valley. The early start also means that there are no traffic problems, so I arrive at Sedburgh just before 7. I'd planned to start at Ellerthwaite, which is reached via a very minor road that turns left off the A683 just outside Sedburgh. Unfortunately, when I get there I cannot find anywhere to park the car - the road is single car narrow and bordered by high banks and walls; and there's just nowhere I can leave the car without inconveniencing other motorists. So I go back to the main road, and try the next minor road. I get to end of this road after about half a mile and still cannot find anywhere to park. As I'm considering whether to go back into Sedburgh and park there, a 4x4 pulls up behind me in the dark and chap comes and knocks on the window. I brace myself for an altercation, and wind down the window. But in fact he looks very friendly. "I hope you don't mind that I was following you," he says ( I hadn't even noticed! ), "I saw you on the CCTV turning round in our gateway and... well... it just seemed at bit unusual. We get quad bikes stolen, and the like... "
I explain that I'm just trying to find somewhere to park up, and my plan is to walk "up there" - I point up towards the hills. He ponders this information for a couple of seconds. "Look", he says, "you can park in my yard. Just follow me. There no track up to the hills from here, but there's one from just behind our house". So - in a bit of a state of shock - I turn around and follow him, to his farm (Buckbank). Once landed in his yard, he points out a place to park. I apologize profusely for disturbing his morning; but he just waves it aside: "I was up anyway. No issue." Finally, he points me towards the path behind his house up to the fells, which he explains they've just recently created as part of some kind of partnership with the county council. Well! If ever there was a need for stereotype readjustment, this was the catalyst! Although I grew up in the Dales, and my uncle farmed the most remote hill farm in England for 10 years (Swarthghyll), I've always had a somewhat ambivalent view of farmers. On the one hand, they have the kind of economically perilous life that most of us can hardly imagine, gig economy notwithstanding; but on the other hand some landowners are disproportionately aggravated when people walk across "their" land, forgetting that is only by a social convention that they have this ownership privilege. One swallow doesn't make a spring, but this is a serious and valid challenge to one of my long-held prejudices. 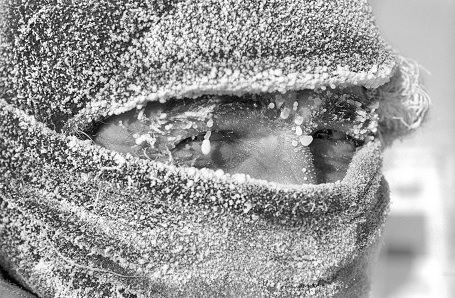 Just before he heads off, the friendly farmer says he hopes I have plenty of warm gear, for it's going to be seriously cold on the tops. I assure him I have (whilst privily asking myself whether I truly have enough.... ). 20171130_073303. Having parked in the farmyard, this view is looking up at where I'm heading, and taken just before I set off. The first target - Crook - is the left-most hill. It is actually pretty dark still: the pic is taken on maximum exposure and then doctored to make it even lighter so that something is actually visible! Very buoyed up indeed by that most life-affirming experience with the friendly farmer, I set off. It feels like nothing can go wrong from here (and it doesn't - quite the contrary!). Lucky, or what???? 20171130_074035. Crook. It's getting lighter by the minute. 20171130_081820. 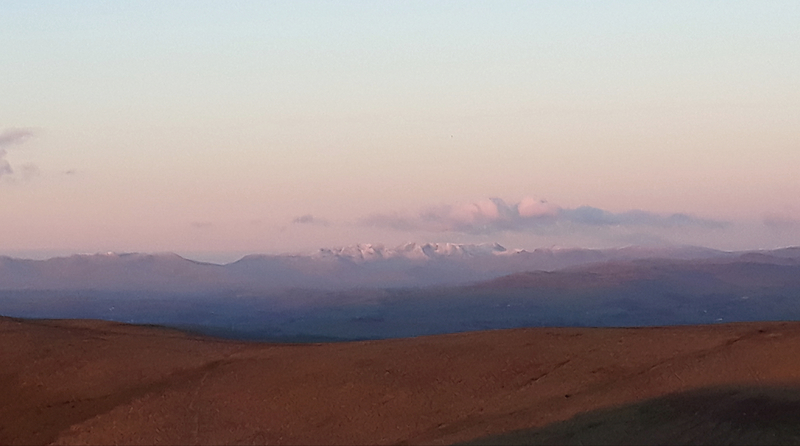 ...while in the far West - 50km or so distant - the rising sun lights up the Scafell group (zoom x4). 20171130_081856. And just west of north, Arrant Haw. 20171130_082210. The forecast was for temperatures around -5 degrees centigrade, and sure enough, all water is frozen solid. On top of this there's a strong breeze - 30 mph+ I would say - so I imagine the effective temperature is around -13 degrees! Very glad I dressed for it, especially the thick snood, and the winter cap with ear flaps!! As I start the ascent to Arant Haw, I spot a figure on the summit, which then starts to jog down the hill. 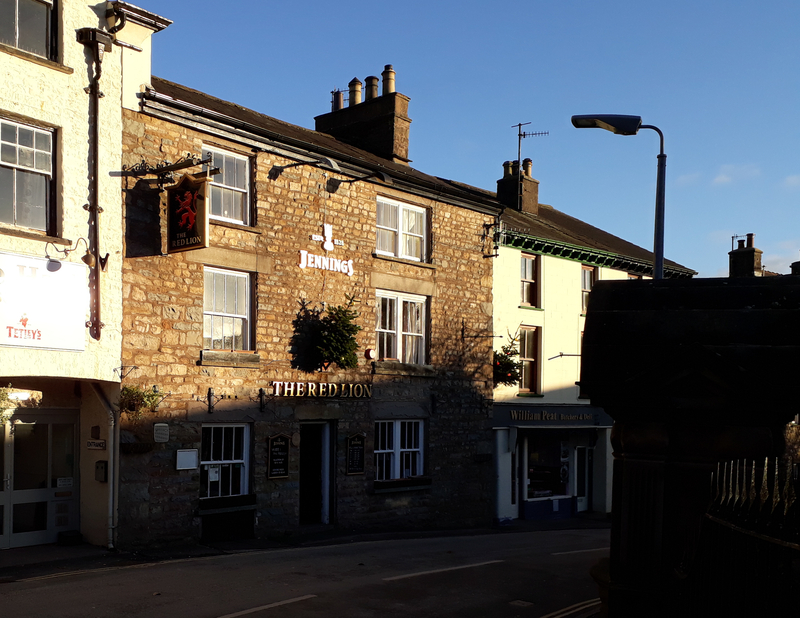 We meet up in a few minutes, and rather to my surprise I discover it to be a very slim and relatively elderly lady - perhaps 65 or 70 - wearing crop running tights even in these arctic temperatures, and who's just run up from her house on the outskirts of Sedbergh, and is now on her way back for breakfast! Seriously impressive - in the mould of Joss Naylor . We only exchange a few words, for she's pretty lightly dressed and it really is well below freezing. This is the only person I encounter all day. 20171130_083836. Pano from Arrant Haw summit, between west and north east. To the right is the first Hewitt of the day, Calders; and the Scafell group is just visible on the extreme LHS. (If you like panos, the clarity of the day means its worth clicking on this and others to get a better sense of the day). 20171130_083904. On the way to Calders: the Scafell group zoomed. That distant vista is so stunning that I take something like 20 pics of it over the course of the day. But I won't test the patience of readers of this report with any more.... . 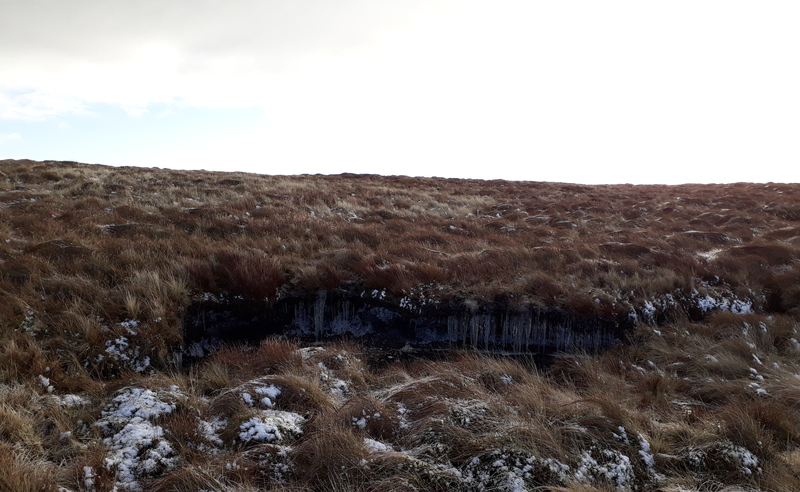 It's obviously boggy in the bealachs, but the ground is partially frozen (it's early winter so - well-below-freezing temperatures notwithstanding - the freeze is quite superficial, and sometimes I break through the ice crust). 20171130_090128. Looking back south towards Arant Haw from Calders summit along the route I've just walked. 20171130_090732. 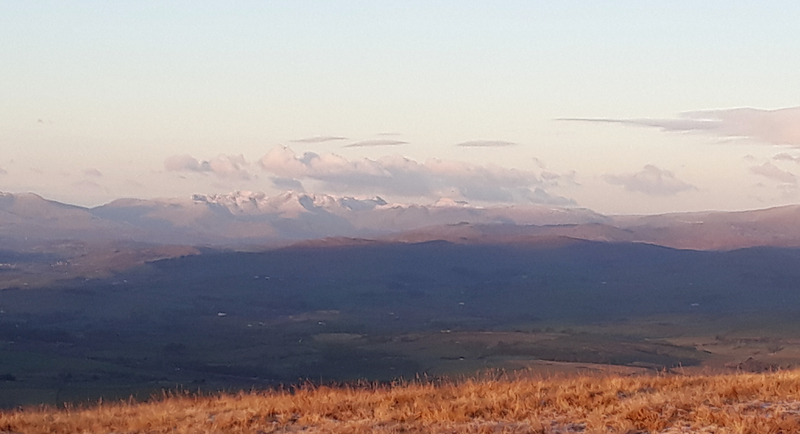 And looking north east towards the 2 planned final Hewitt summits of the day, Randygill Top, and Yarlside. 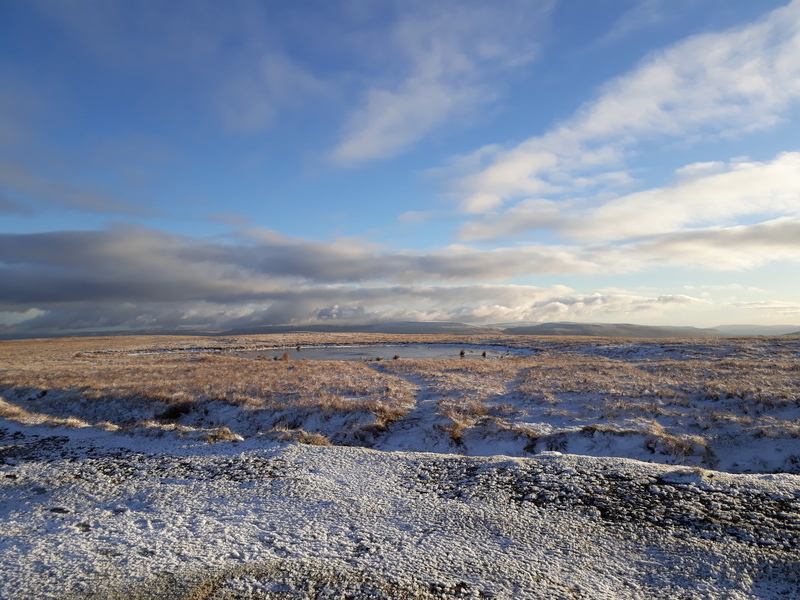 There's a light scattering of frozen snow that's collected windward of all the dry grass tussocks, which at a distance gives the hills their slightly bizarre white-green colouring. 20171130_092057. ...where the views towards the Lake District are just wonderful. So much so that they almost distract me from the intense cold (oops - I may earlier have promised no more pics of this.....). I can imagine that navigating in clag up here could be quite tricky. 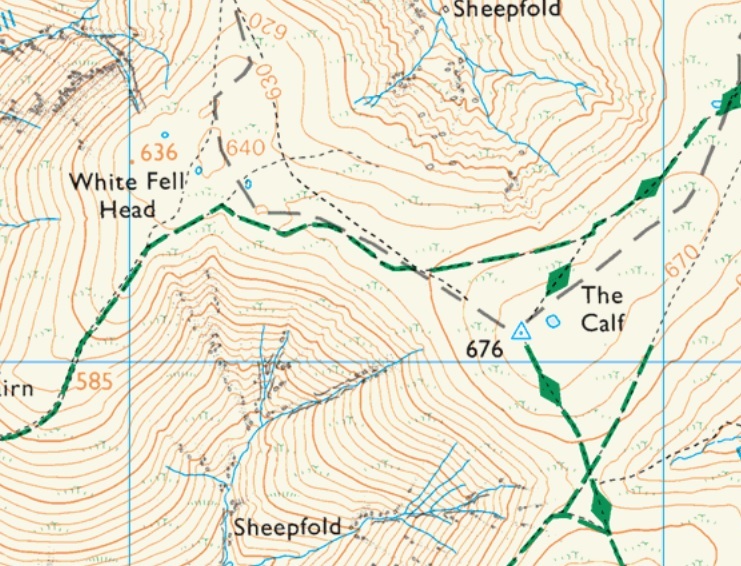 The topography undulates very gently, so orientating oneself by contours would be quite challenging; and there are so many well-worn paths, that one would have to be extremely attentive to the map detail; and then, finally, many of the paths that are very clear on the ground are not shown on the map at all . On the positive side though, one is nowhere too far from "civilisation".... 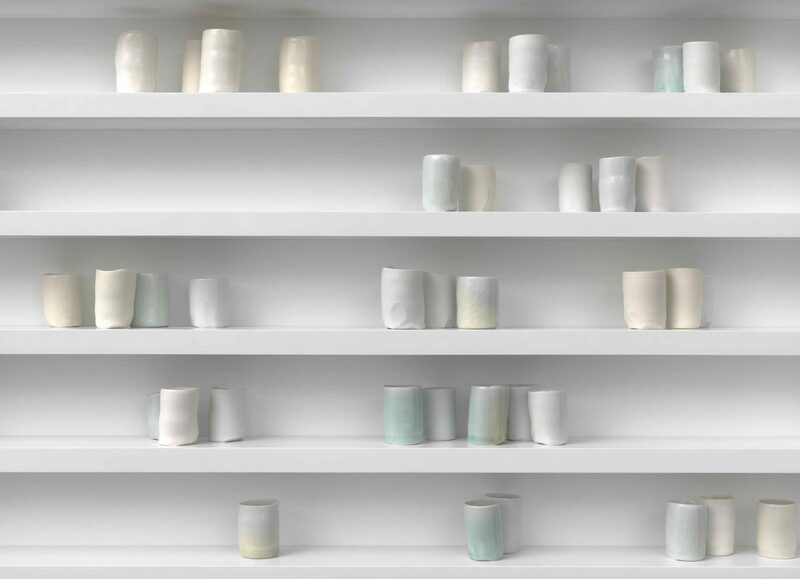 So wherever one descended into a valley, one would not be a million miles from succour . 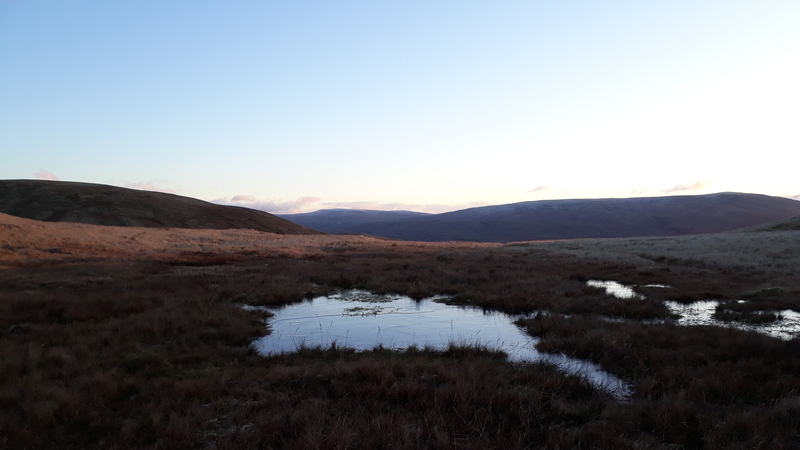 The Calf OS - complete with tiny tarn. 20171130_092630. 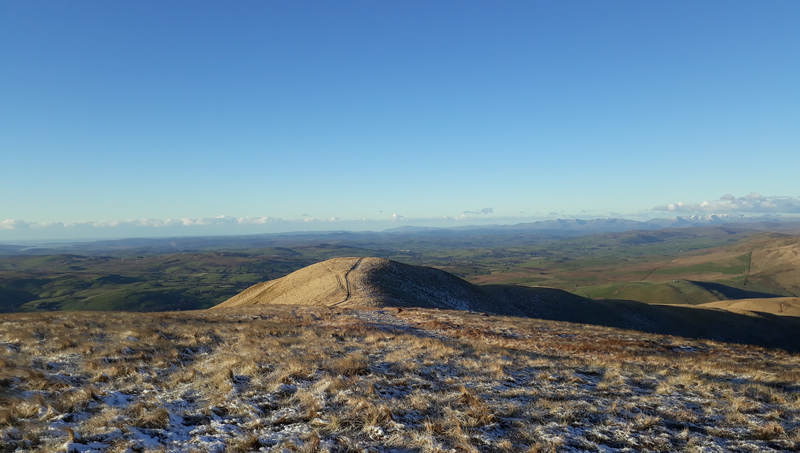 Now on to Fell Head, a fine fine ridge walk, albeit the wind is so biting that I have to hold my gloved hand in front of the left side of my face to try to prevent it freezing solid . This pic is taken on the way, looking north towards Simon's Seat, where I plan to be a little later in the morning. About this time I'm surprised to hear the call of, and then see, a raven. 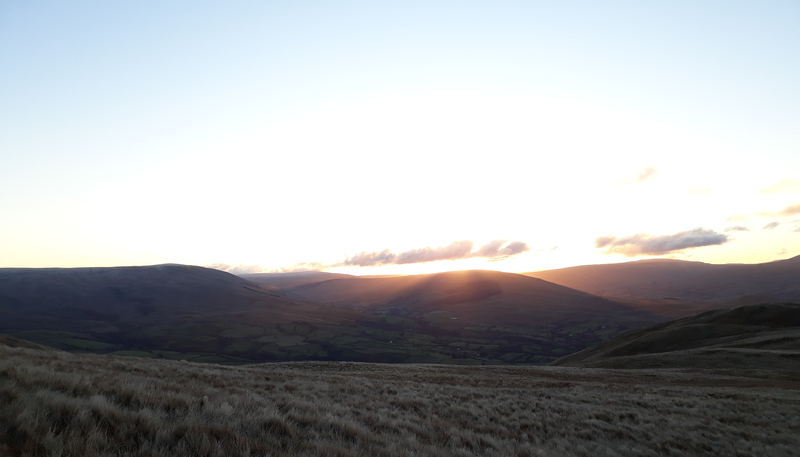 It's the first bird I've seen all day, and in fact the whole day on the tops I only see 3 living things (apart from the fell runner): 2 ravens and a short-tailed field vole. I also see plenty of raptor pellets, but no sign of the birds themselves. I guess the cold must have sent other birds down into the valleys. The walk along to Fell Head is perfectly straightforward, leaving me plenty of mental space to reflect in this wonderful weather and environment upon my extreme good fortune in being able to enjoy all this, wholly carefree... (so few folk on the planet have this privilege, and such privilege seems to be allocated in an entirely arbitrary manner...). Well, life's a puzzle, no doubt, but I'm not one to squander the opportunity of getting the very best out of it ! 20171130_095631. 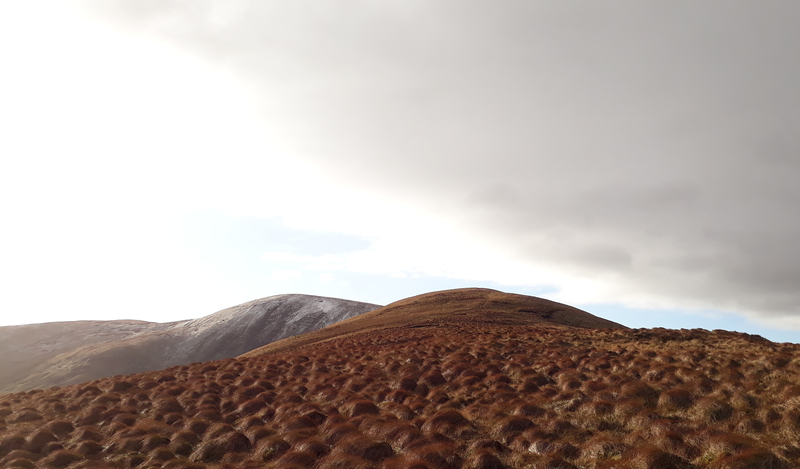 Fell Head summit (snow capped hills in the far distance to be ignored if repetition offends... ). 20171130_095647. This view a little bit further west, looking directly towards Blake Ridge: attractive, but not on today's route. 20171130_100823. Pano looking east in the direction I'm walking, Simon's Seat - next goal - on the LHS. 20171130_101617. En route to Simon's Seat. Icily wonderful! 20171130_102412. On the ascent to Simon's Seat, looking back just west of south the way I've just come , The Calf on the LHS, and Weathercalf Moss in the foreground, centre pic. 20171130_102654. Looking East from Simon's Seat, the route ahead is rather deceptive: in the foreground, right, is the next target summit, Hazelgill Knott. It looks quite close, but in fact there's a 250m descent and ascent to get to it. 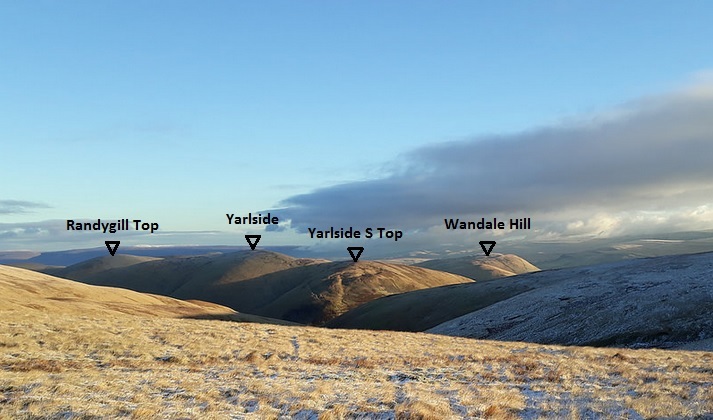 And then behind, also on the planned route, are Randygill Top (centre left) and Yarlside (centre right), again with a significant - 260m descent and ascent to tackle! 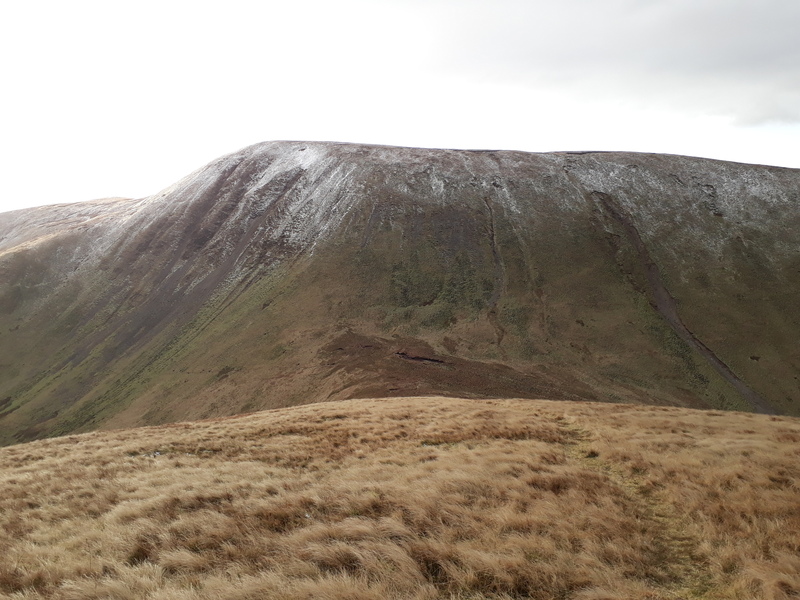 Whatever: the pleasure I'm getting from this Howgills environment is growing as the walk progresses . 20171130_103426. Looking down on the descent from Simon's Seat into upper Langdale. The comparatively recent geomorphological impact of water courses is dramatically evident. I'm now in the lee of the wind, so I decide to stop for a bite of breakfast, savouring both it and the views for 15 minutes or so. 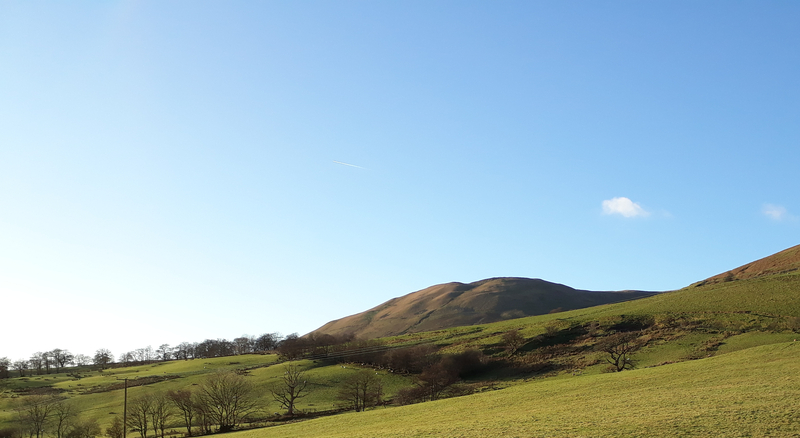 But that's really long enough: it's still pretty cold, even out of the wind; so I set off again at a brisk pace, descending into the valley and then up the ascent to Hazelgill Knott. I'm not sure why, but I target the slightly lower top to the south of the main top. It's icicle cold approaching the summit. 20171130_111941. The summit has no particular feature to identify it. Ahead to the east the last 2 Hewitts of the day are prominent, though there's a goodly drop into Bowderdale before the ascent up to the ridge they are part of. 20171130_120113 ... the summit! 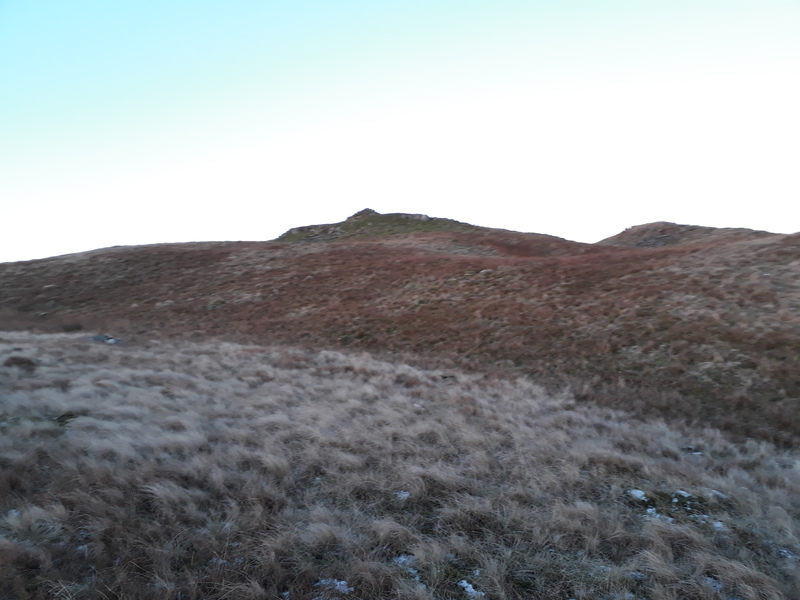 Wild Boar Fell in the centre middleground with Swarth Fell to its right, and possibly High Seat to the left further back. 20171130_120205. This looking back more or less in the direction I've come, with some of the earlier tops visible. 20171130_121208. Looking SSE down what I suppose is Westerdale from the ascent to Kentsgriff. A quite remarkable difference in the vegetation on the east- and west-facing slopes. The scarp slope in the background is, I surmise, Knoutberry Haw (please correct me if I'm mistaken here...). 20171130_121239. I've wandered off the path in order to be able to take a look at Westerdale (? 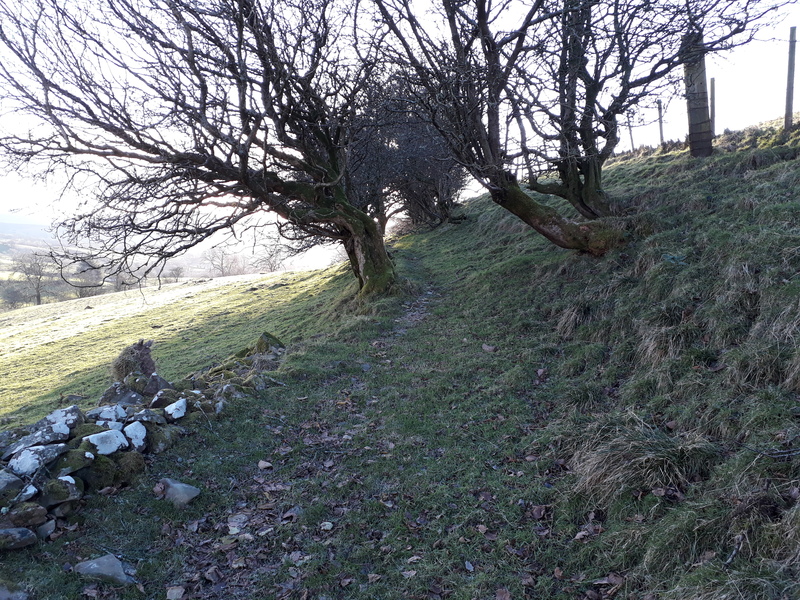 ), hence the ground looks quite rough on the way up to Kentsgriff, but actually it's not too bad, and I hit the path again shortly before the summit. In the background is Yarlside. 20171130_122326. As can be seen from this shot looking back north to Randygill Top, there's clear evidence of quad bikes having taken the same path. 20171130_122452. Another less than wholly inspiring summit: Kentsgriff (Yarlside behind). 20171130_122612. A couple of minutes from the summit, the bealach between Kentsgriff and Yarlside becomes visible. 20171130_124537. ... which is adorned with another unremarkable small heap of stones . 20171130_124326. 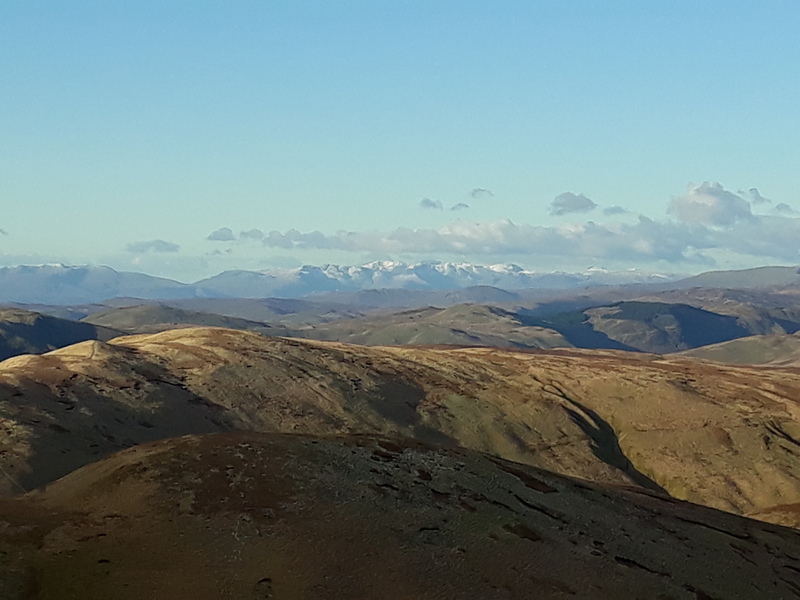 Pano from the summit looking broadly west towards the central Lake District. 20171130_124257. ...while looking back NNW the way I've just come, Kentsgriff is centre right, Randygill Top centre left. 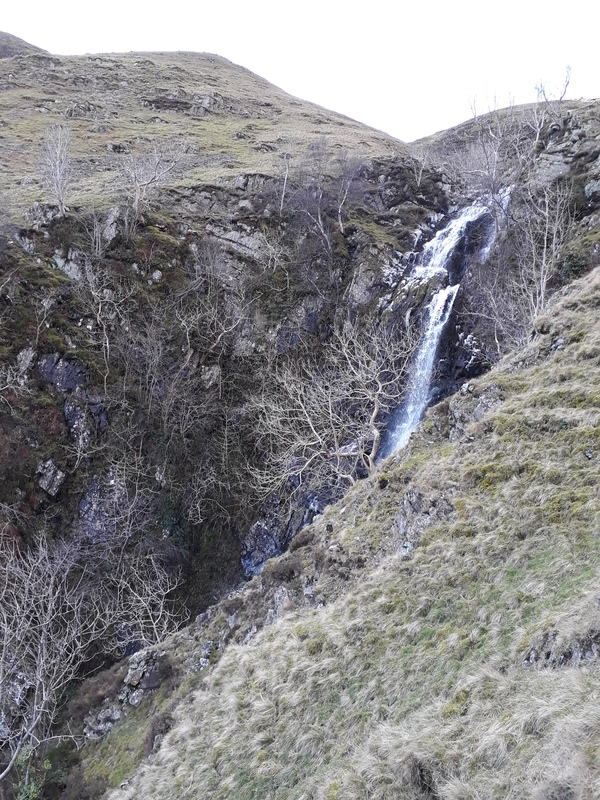 In my planning I've left 2 options open at this point: 1. to descend to the valley bottom, and walk up the side of Cautley Spout to view it from multiple angles; or 2. continue at high level on the watershed - I figure there might be better views of the waterfall from high level. However, looking at the somewhat meandering course of the falls, it does seem as if there won't be any vantage point from which I can see the entire falls. So I opt to go down into the valley. 20171130_124830. ...a really dramatic sight that this pic really doesn't do justice to. I believe that at not far short of 200m fall, it's the highest in England. As I descend, I begin to doubt my initial decision, thinking that there may after all be a better viewing point from at least part way up the hill. So I contour round, partly trying to regain some height. 20171130_130146. 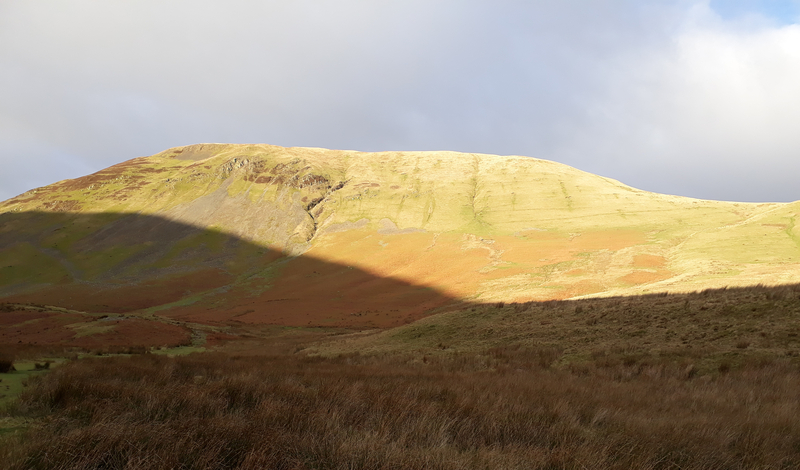 When I can tear my gaze from Cautley Spout, I can see the the afternoon sun is lighting up the west-facing slopes of the hills, just as I'd hoped it would. 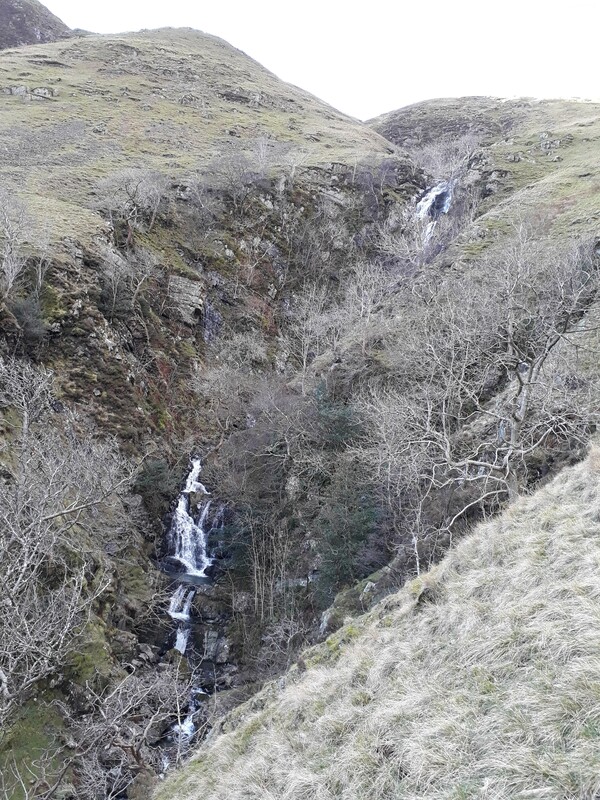 As I contour round the hill, I now realise that my first thought was correct: I won't be able to see all the waterfall from any point on the hillside - looking later at the course of Swere Gill on Google Earth, when it's meandering course becomes clear, I think this is probably correct. 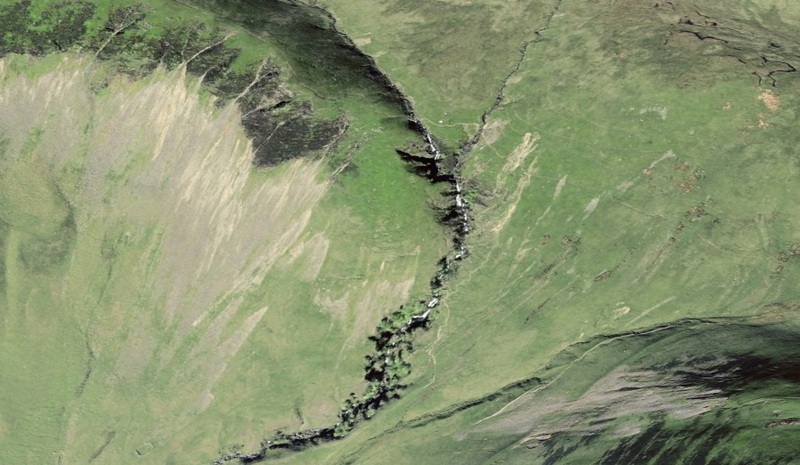 Cautley Spout from Google Earth. 20171130_132416. 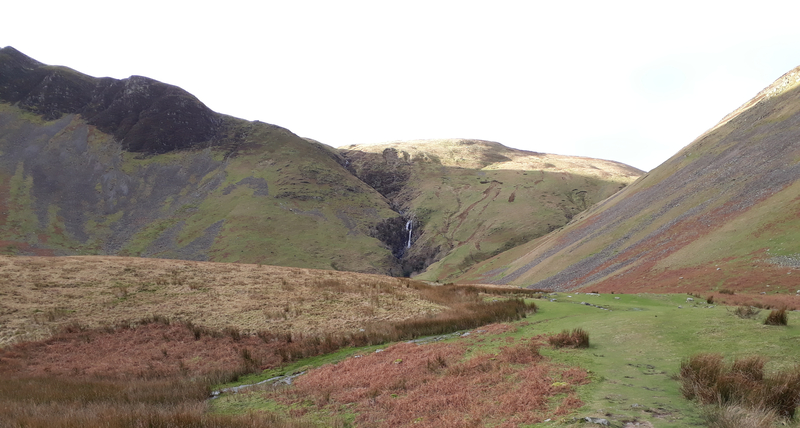 Looking back as I walk down the valley, the falls still coyly hidden in the gorge. 20171130_132845. Yarlside viewed from the valley, as the afternoon sun turns the hillside bright green, and the sky begins to turn a darkening violet. 20171130_134251. For the last part of the walk I take the "Pennine Journey" path along the Rawthey River Valley. 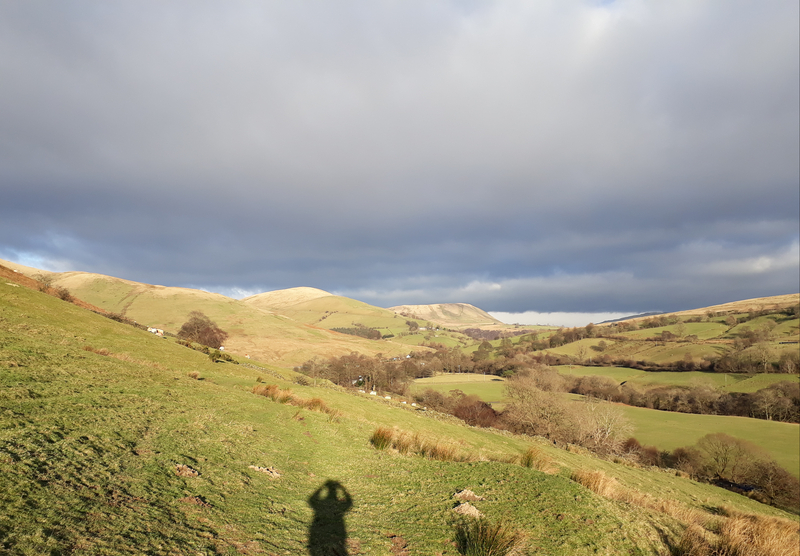 I'd no idea what the "Pennine Journey" walk was until I started writing up this report. 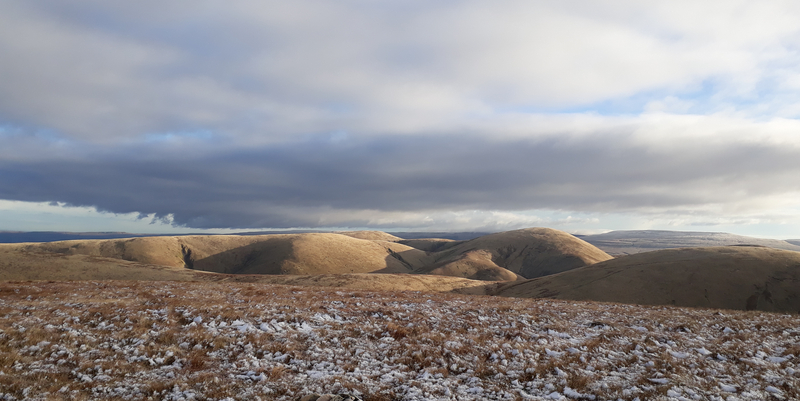 It transpires it's a 287 mile walk, inspired by an 11 day walk that AW took in 1938, with the terrain covered by some of the less well-known Wainwright books, "Walks in Limestone Country", and "Walks in the Howgill Fells". Indeed I didn't even realise that Wainwright had written about the Howgills. I wonder why the "Wainwrights" is a term used only to cover the Lake District hills he described...??? The character of the route varies from open meadow to clearly defined paths, a bit boggy in places. 20171130_141718 Almost back at the farmyard, well ahead of anticipated time, the first hill of the day, Crook, showing beautifully in the late afternoon run. 20171130_143916. I feel surprisingly tired after what is not a particularly long walk, from which I conclude that I must be suffering from insensible moisture loss, and thus need to make it up at a local establishment of cultural, architectural and historical distinction; which I do in front of a roaring wood fire. 20171130_150241. A final farewell - shot taken just outside Lilymere House on the A684 half way between Sedburgh and the M6. Finishing so much earlier than I'd expected, the traffic on the M6 is much lighter than it would have been, and I can relax enough to reflect upon the walk. 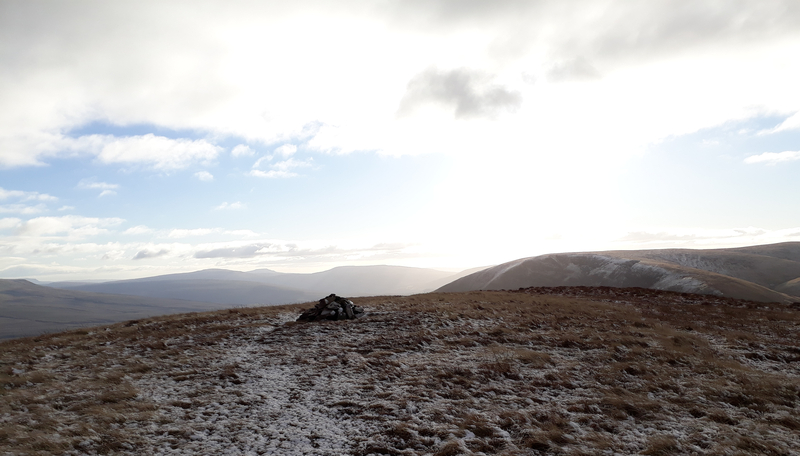 And it strikes me that it forms figuratively the second of two bookends for my 2017 England walks, the year starting as it did with an outing on Helvellyn in January, also characterised by very low temperatures, high winds, and dramatic weather. Very satisfying . A superb walk, easily covered in a day, with a kind of "surprised by joy" character to it. 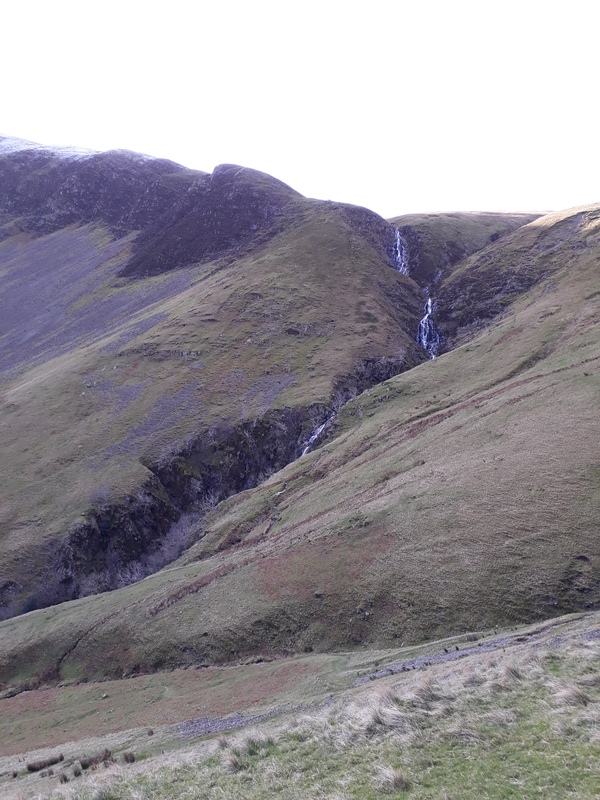 Top rate high fell walking, fabulous views, and what must be one of the most stunning waterfalls in England. The only downside to my route is the lack of parking; but this could very easily be remedied by starting in Sedburgh, where there are official car parks. Last edited by Alteknacker on Wed Jan 30, 2019 7:07 pm, edited 3 times in total. Many thanks for this, and to the other recent posters of Howgill adventures. 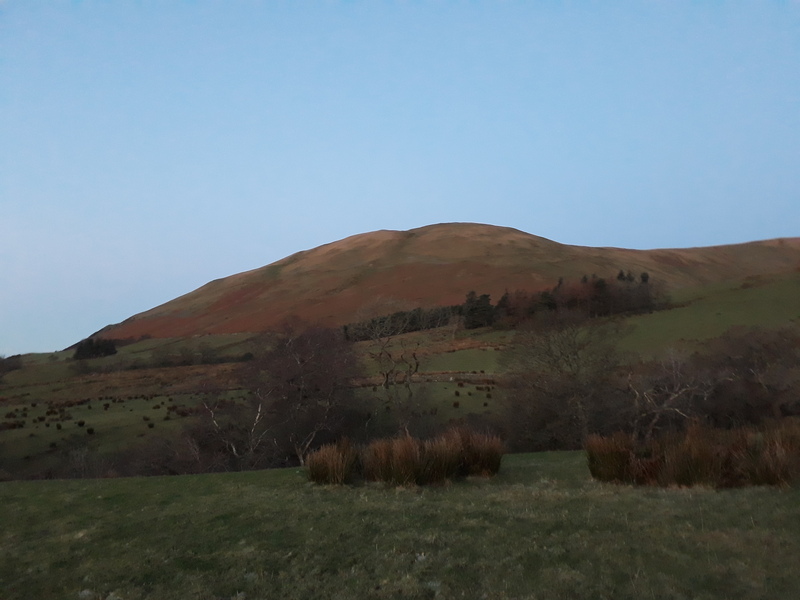 I have a very soft spot for these hills: they were a constant pleasure as a place to escape to when I was a teenager at boarding school in Sedbergh! I do love the Howgills and I think your musing into just what makes them so pleasing is just about right. I particularly like the shot where you pointed out the pleasing symmetry of the Eastern Howgills and it's always nice to meet one of lifes good guys (the farmer), wonderful kindness. 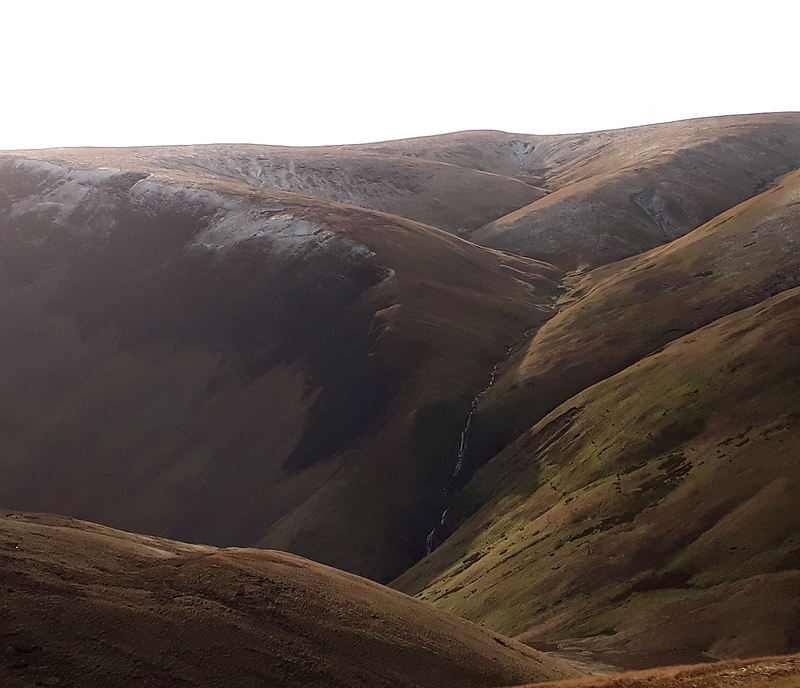 I'd point out that you can park at Cautley just on from the Cross Keys Inn for free and get to start off with the great walk up to Cautley Spout and then along the top of Cautley Crag. 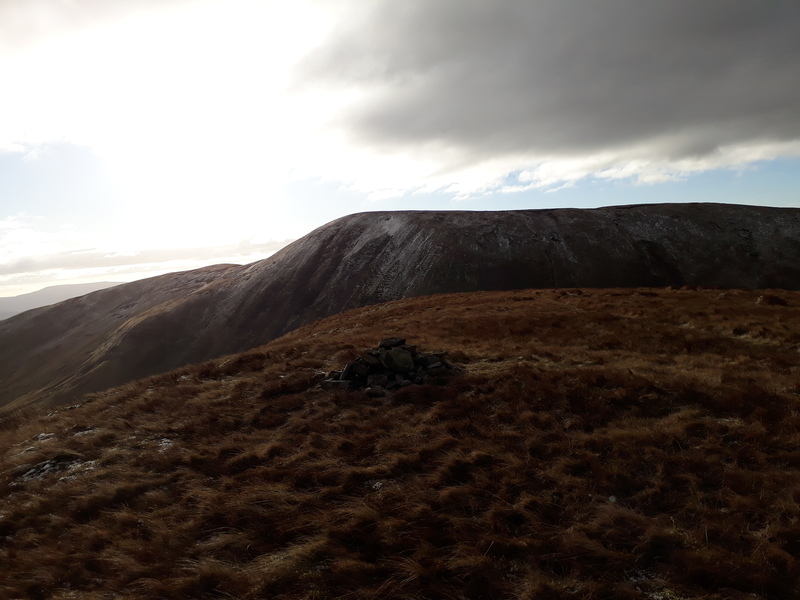 One place you missed on your wanderings was Carling Gill with Black Force, a fantastic place, particularly the view of the folded rocks which make up these hills, highly recommended. Superb report AK, reflective, thoughtful and, if I may say so, a fine piece of writing. 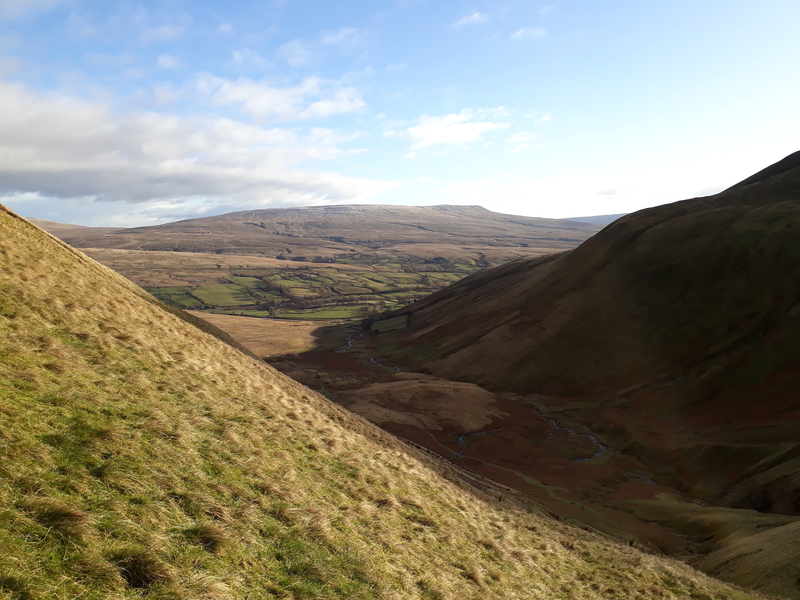 I really like your analysis of the distinctive quality of the Howgills as consisting in 'the aggregate effect of the repeating rounded humps, the almost monochrome colour, the steep incised gills on every slope...' rather than in the individual features themselves. A case of the whole being greater than the sum of the parts - very gestalt and most appropriately illustrated by your example of the Japanese Rock Garden. You make some other interesting observations too, such as the fact that this is a landscape shaped by the action of water rather than of glaciation (deeply incised V-shaped valleys rather than U-shape ones). This is a very high standard of walk report which I find really inspiring. 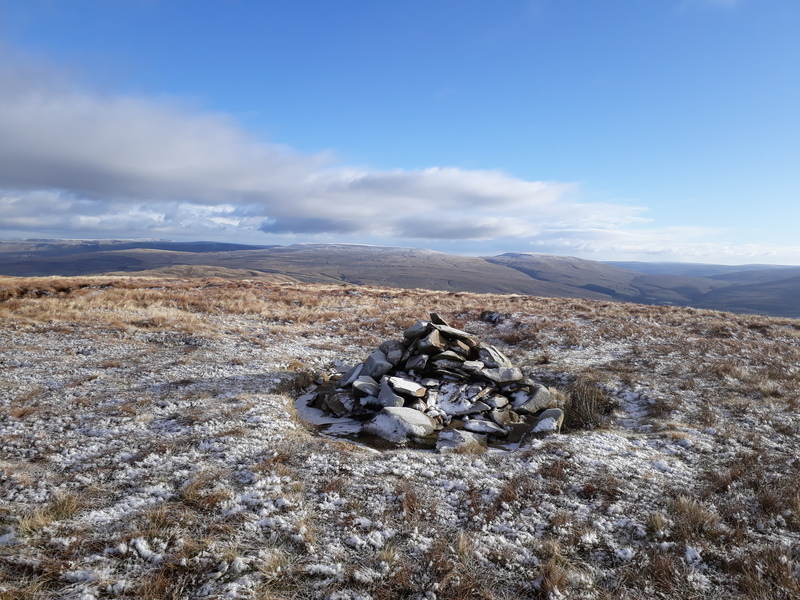 Another good starting point is at the 413m spot height at the high point of the Ravenstonedale-Adamthwaite minor road, parking for a couple of cars and quick access up onto Green Bell and Randygill Top. 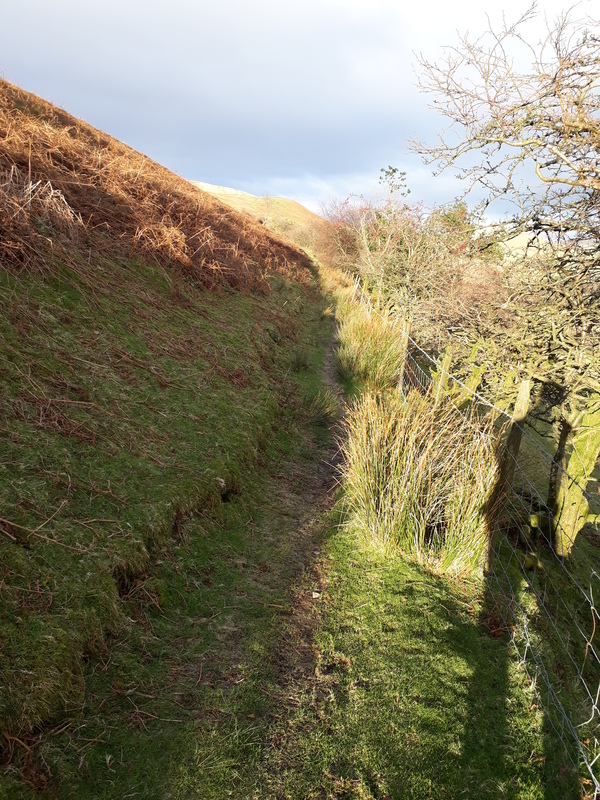 When doing a round of the five Hewitts and Cautley Spout in August I circled back up from Murthwaite to the car - this bridleway is a very steady ascent and doesn't feel tough at the end of the day. Funny isn't it? 180 degrees is one of the easiest errors to make. This must have been the first western sunrise for some time. Thanks for another lovely report. A tempting looking round here . I always remember the Howgills as the place where the scenery starts to get good on the M6 when we used to drive up to the Highlands for our summer holidays. I've never been walking on them, but may try and change that this year! Black Force is another waterfall I remember being mentioned frequently as somewhere worth a visit - almost directly opposite the M6 as you sweep in next to the River Lune. jmarkb wrote: Many thanks for this, and to the other recent posters of Howgill adventures. Thanks jmb. I certainly enjoyed walking them. 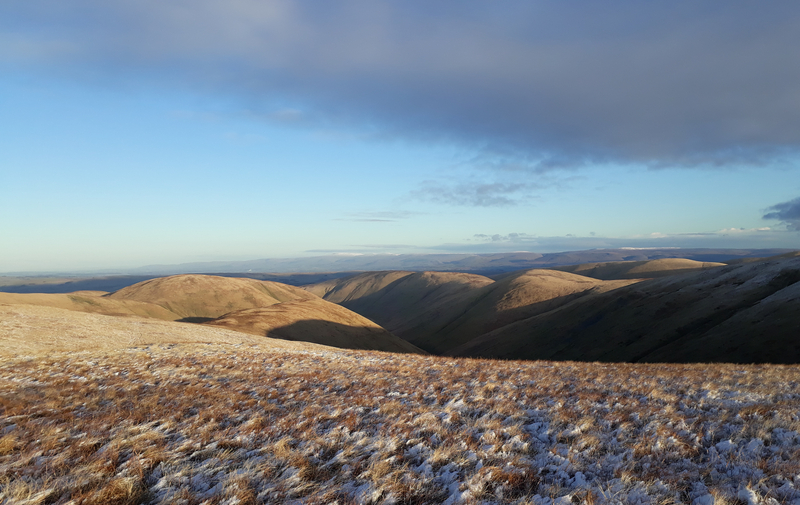 johnkaysleftleg wrote: I do love the Howgills and I think your musing into just what makes them so pleasing is just about right. I particularly like the shot where you pointed out the pleasing symmetry of the Eastern Howgills and it's always nice to meet one of lifes good guys (the farmer), wonderful kindness. 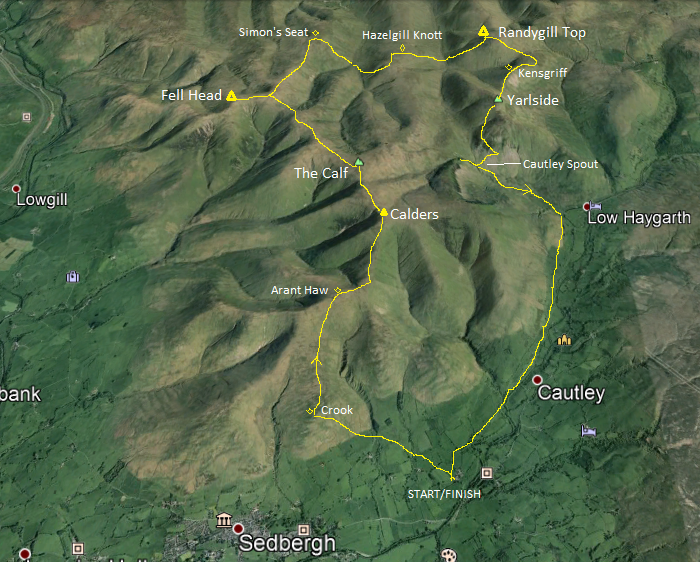 I'd point out that you can park at Cautley just on from the Cross Keys Inn for free and get to start off with the great walk up to Cautley Spout and then along the top of Cautley Crag. 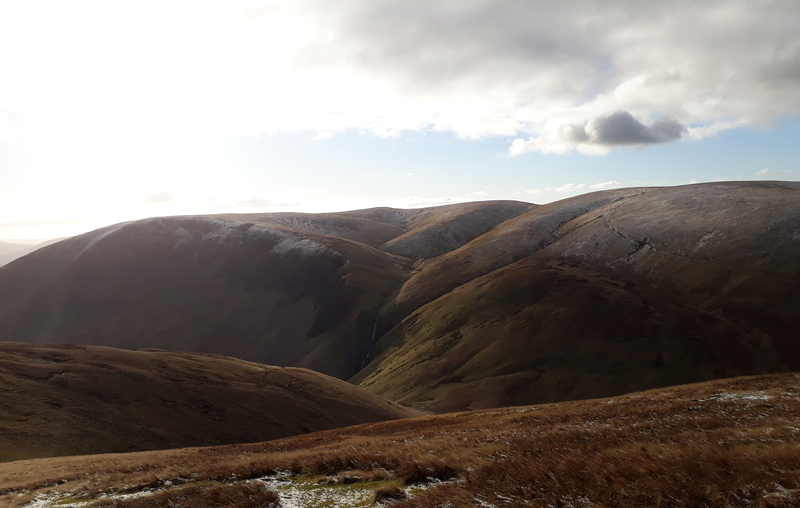 One place you missed on your wanderings was Carling Gill with Black Force, a fantastic place, particularly the view of the folded rocks which make up these hills, highly recommended. Thanks JKLL - reading your report, and also looking at a few others, I can see that I definitely need to get to Carling Gill. Thanks TM. I read your WHR after your comment, and it's interesting indeed to see the hills in full summer garb! dav2930 wrote: Superb report AK, reflective, thoughtful and, if I may say so, a fine piece of writing. 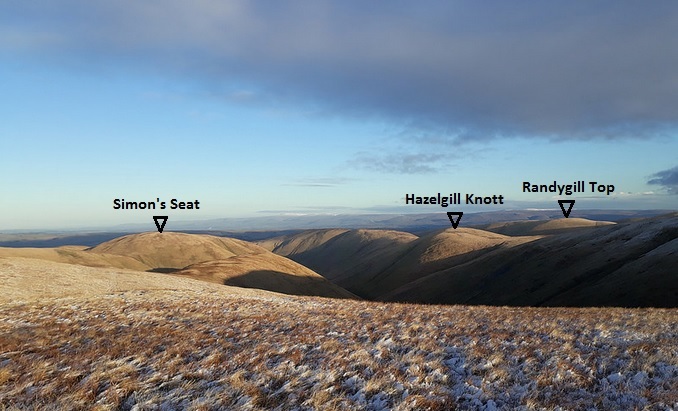 I really like your analysis of the distinctive quality of the Howgills as consisting in 'the aggregate effect of the repeating rounded humps, the almost monochrome colour, the steep incised gills on every slope...' rather than in the individual features themselves. 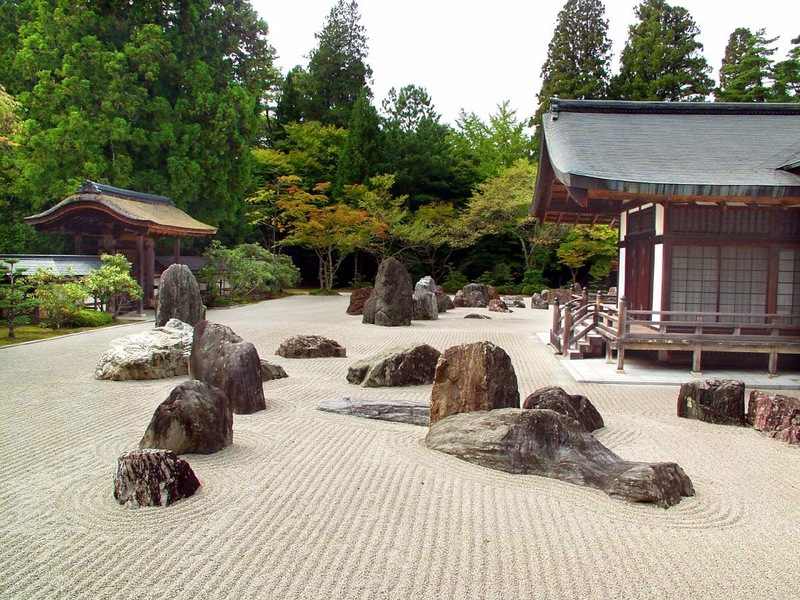 A case of the whole being greater than the sum of the parts - very gestalt and most appropriately illustrated by your example of the Japanese Rock Garden. You make some other interesting observations too, such as the fact that this is a landscape shaped by the action of water rather than of glaciation (deeply incised V-shaped valleys rather than U-shape ones). This is a very high standard of walk report which I find really inspiring. Many thanks for your kind words, Dav. This was certainly a walk that set me reflecting on what makes for the particular attraction of a place. 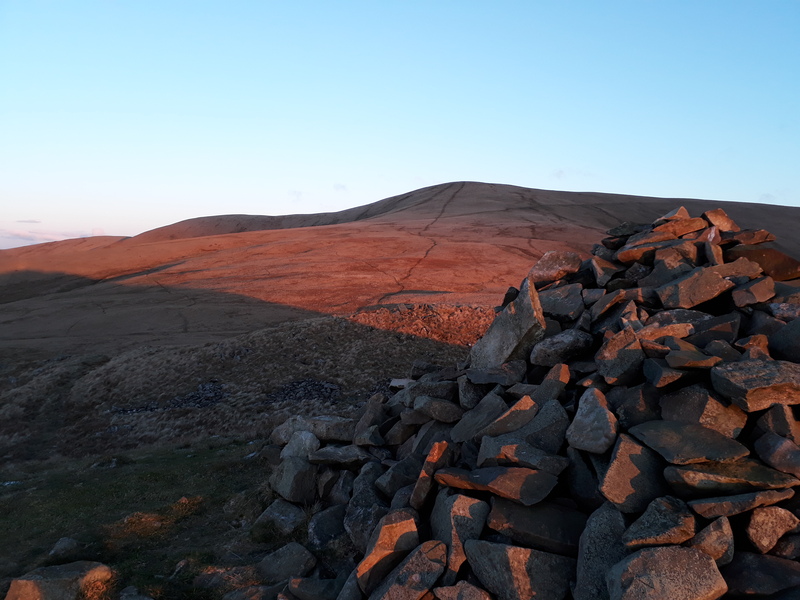 arjh wrote: Another good starting point is at the 413m spot height at the high point of the Ravenstonedale-Adamthwaite minor road, parking for a couple of cars and quick access up onto Green Bell and Randygill Top.... .
Roger n Sue Fellows wrote: Funny isn't it? 180 degrees is one of the easiest errors to make. This must have been the first western sunrise for some time. But thanks for the complimentary words. malky_c wrote: A tempting looking round here . I always remember the Howgills as the place where the scenery starts to get good on the M6 when we used to drive up to the Highlands for our summer holidays. I've never been walking on them, but may try and change that this year! Black Force is another waterfall I remember being mentioned frequently as somewhere worth a visit - almost directly opposite the M6 as you sweep in next to the River Lune. A tempting looking round, with endless possible permutations to extend or reduce it as the fancy takes one. I've since looked up Black Force on Trailmasher's recommendation, and it definitely looks very worth a visit on my next visit to these fellas! I tried to identify some of the LD hills I could see in the distance, but I'm afraid I failed - I don't know the LD that well, and the resolution of the pics at 50km isn't great. Do you see it on the pics from the Calf? ?